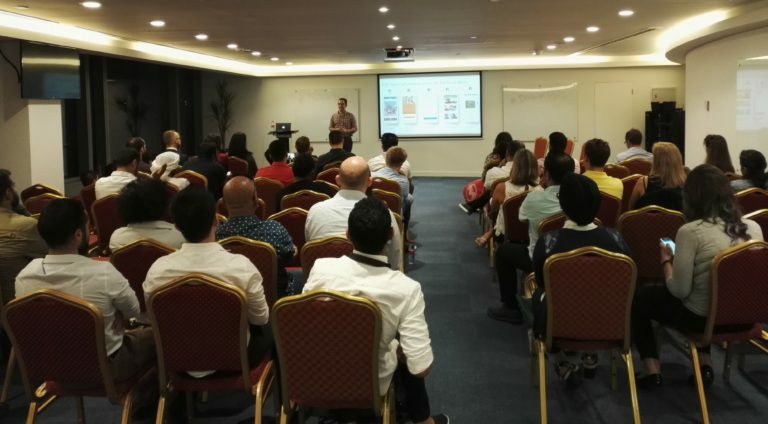 On 25th of September Media One Hotel in Dubai Media city hosted the first Dubai PPC meetup. The great community of digital marketers gathered together and talked about latest trends in performance marketing. Although we invited speakers from Google, Twitter and PPC agencies, only Facebook, PropertyFinder, Emirates and ROI Hunter were able to share the best practices and latest trends in their presentation or panel discussion. Over 60 marketers from companies like Emirates, AL Tayer, Al Futtaim, AWOK, Wego or Souqalmal saw interesting statistics about user’s switch to mobile and importance of cross-device targeting. 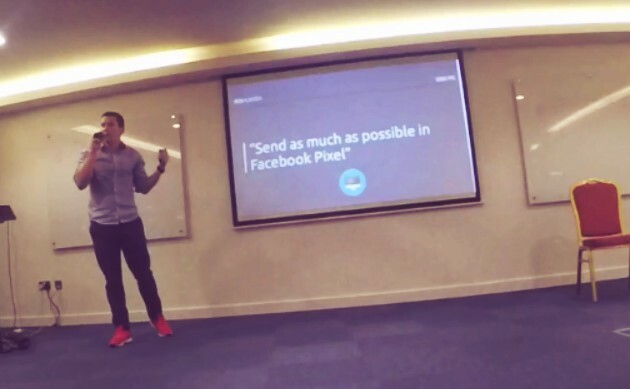 Shant Oknayan from Facebook’s Dubai office showed several interesting case-studies regarding different ad formats and creatives.